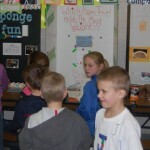 The science expo projects all started with a different question. Which Birdseed Do Birds Prefer? Which Baseball Bat Hits Further? 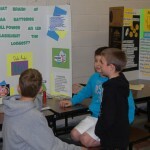 Which Paper Towel Holds the Most Weight? 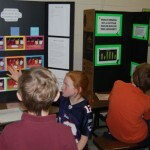 Using the scientific method, students developed a hypothesis, performed experiments, collected data, analyzed the data, made observations and came to a conclusion based on their findings. 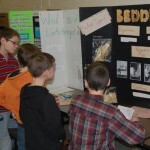 The students, in grades 4th, 5th, and 6th, then displayed their research on a tri-fold board and presented their findings to their classmates, parents, and teachers.